Hi-Chew - The Famous Fruity Chewy Candy From Japan. Grab your stick and GO! Super Delicious, Superfruit with chia seeds! Now Available exclusively at 7-Eleven. Introducing… our NEW mouth-watering flavor CARAMEL APPLE! 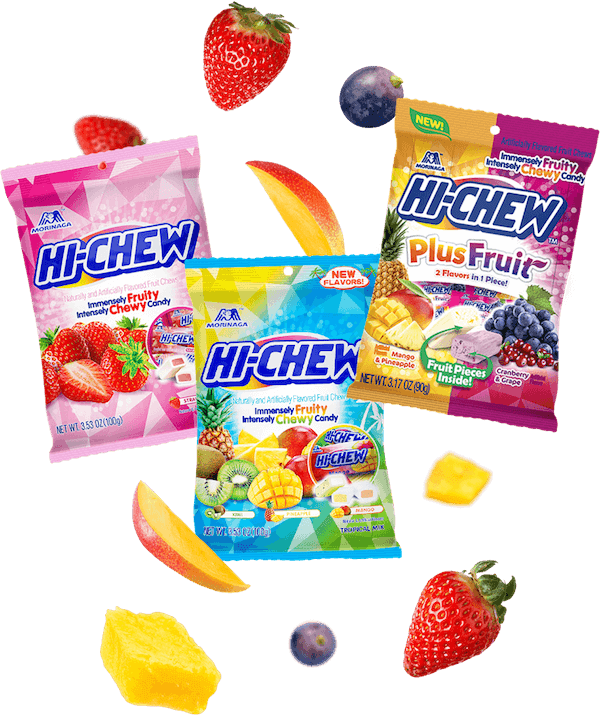 Shop your favorite fruity HI-CHEW™ flavors from home! 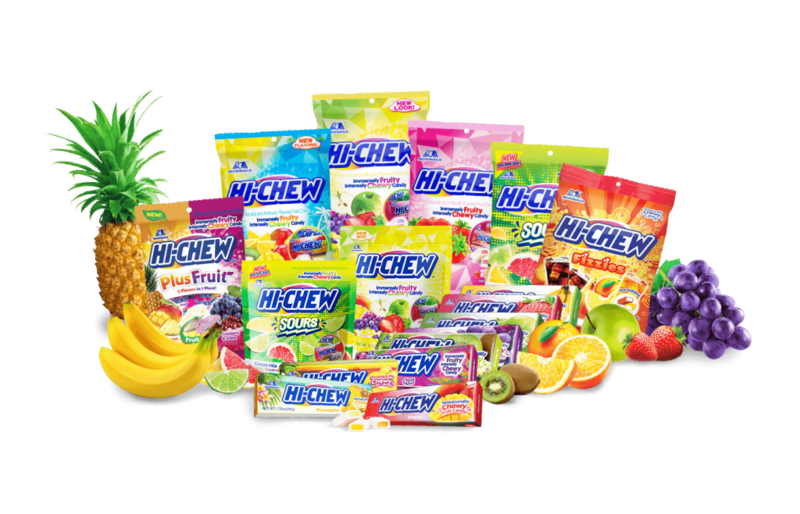 What’s so great about HI-CHEW™? Is it all the fresh fruit flavors? The smooth, chewy texture? The international community of HI-CHEW™ Fans? Come see, and taste, for yourself. 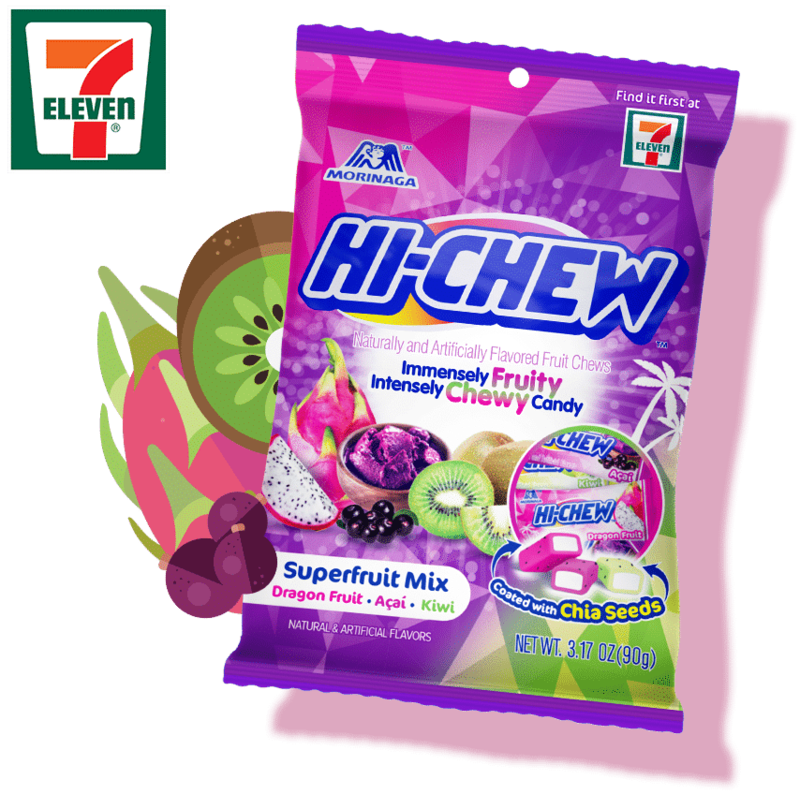 Get more of your favorite flavors with our new Strawberry, Tropical Mix, and HI-CHEW Plus Fruit peg bags! Want to make HI-CHEW™ even more fun? Meet other fans and find out what’s happening with the Chew Crew. you sign up for the Chew Crew. our company and our community. 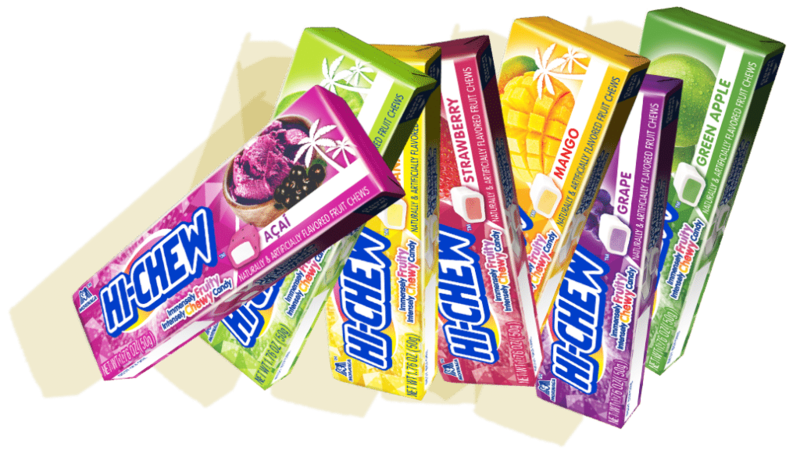 All over the planet, people are talking HI-CHEW™. Why not join the conversation? Enter your birthday for a sweet surprise on your big day!